Are you tired of unwanted hair? Physician’s Center for Beauty offers safe, comfortable and cost-effective laser hair removal with the use of state of the art lasers. For patients struggling with the daily hassle of unwanted hair there is a solution. There are many temporary hair removal methods and inferior products out there for hair removal. With 10 simple, timely, relatively comfortable and easy laser hair removal treatments, we can help you to get rid of that unwanted hair. Imagine; no more scruffy, stubbly skin. 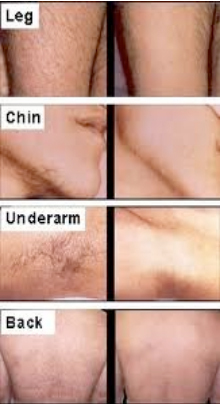 Experience the world free of unwanted hair with laser hair removal! If you’ve been considering laser hair removal treatments as an option to get rid of that unwanted hair, please schedule an appointment with us at (502) 897-7546. The most important step to take before undergoing laser hair removal treatment is to set up a free and confidential consultation. We have plenty of information that will help you learn more about the procedure and help you discover if you are a good candidate. Treatment costs vary with the location of the area treated. Most people reach their desired result in 10 treatments, some clear before and some clear after further treatments. In general, laser hair removal can have less overall cost and long term side-effects than alternatives including: shaving, electrolysis or repeated waxing. Our aestheticians will take the time to sit with you one on one so that you can address any concerns you might have about the procedure. At Physician’s Center for Beauty, we have many years of experience and a great comfort with treating all types of areas and skin types. Several genetic factors are taken into consideration, some of which include, skin tone and hair color, in order to devise a treatment plan that will work for you. By creating individualized Laser Hair Removal treatment plans, our clinic ensures you are receiving safe, effective treatments that will give you the results you desire. 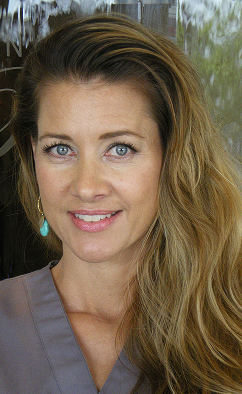 Scheduling your consultation could be the most important step in changing your life forever. Allow us the opportunity to talk with you about removing unwanted hair and the importance of customizing a treatment for your skin tone and hair type. You will be able to see and learn all about how laser hair removal works and discuss the cost of treatment with laser hair removal. Imagine the extra time you would save never having to shave, tweeze or wax again. Visit us today to get started!